We're still on the topic of lighting. One room at a time. This time is THE BATHROOM. If you missed my other posts with lighting tips for the Living Room, Dining Room and Entryway/Foyer, just click on the the links. 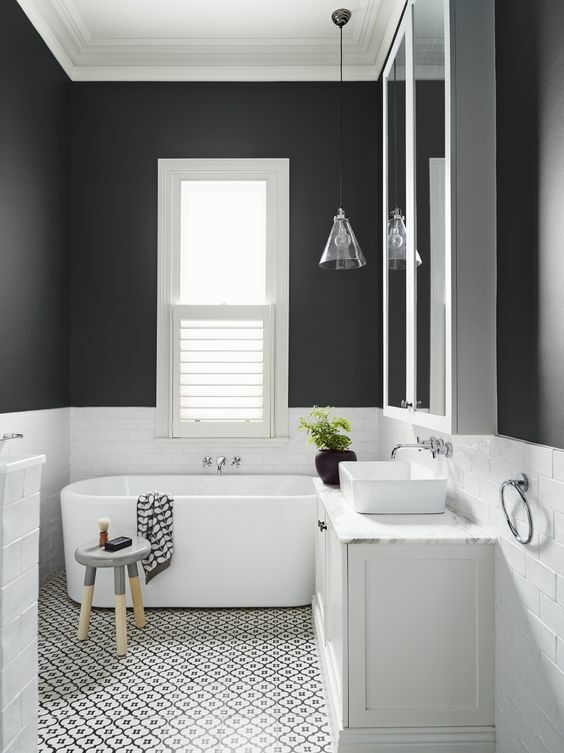 Now, back to the bathroom: when it comes to lighting, it's almost unanimous that's the one area in the house where most people are trying to stick with basic options, hoping to save some budget dollars that can later be spent on lighting for the living room, dining room, etc. 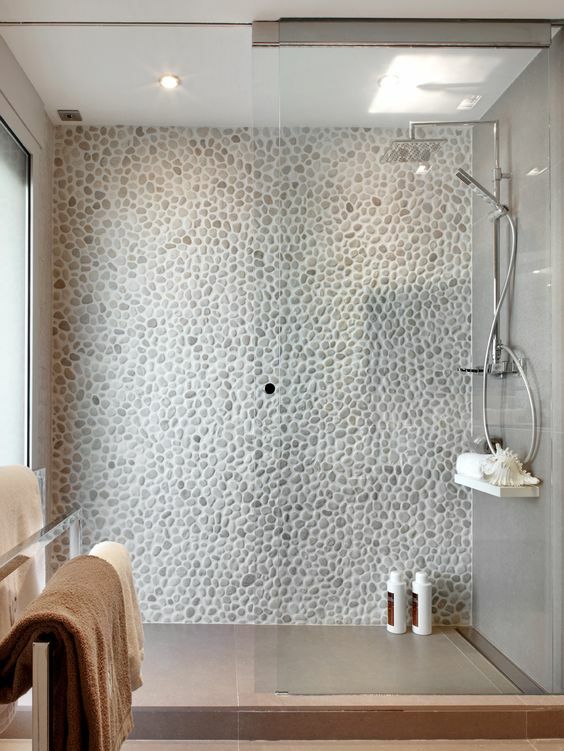 But, as the bathroom is no longer just about functionality and has evolved into a place to relax, rewind, get creative ? 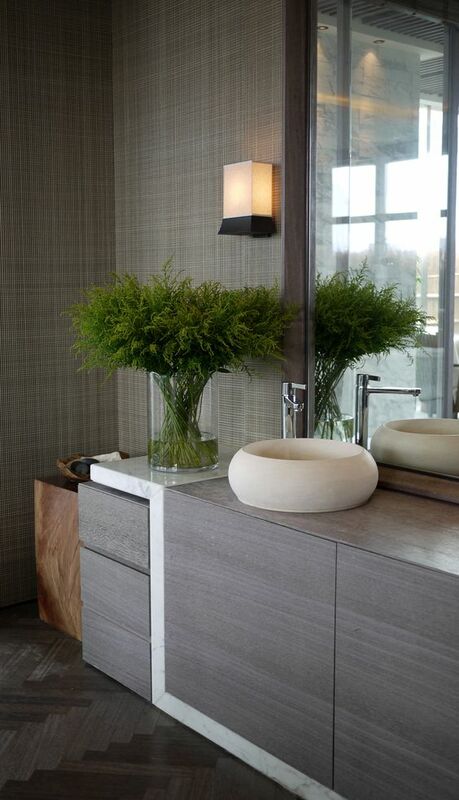 ;-) and recharge, bathroom lighting deserves some prime attention. So let's look at each lighting option and the role it plays in the big scheme of things. 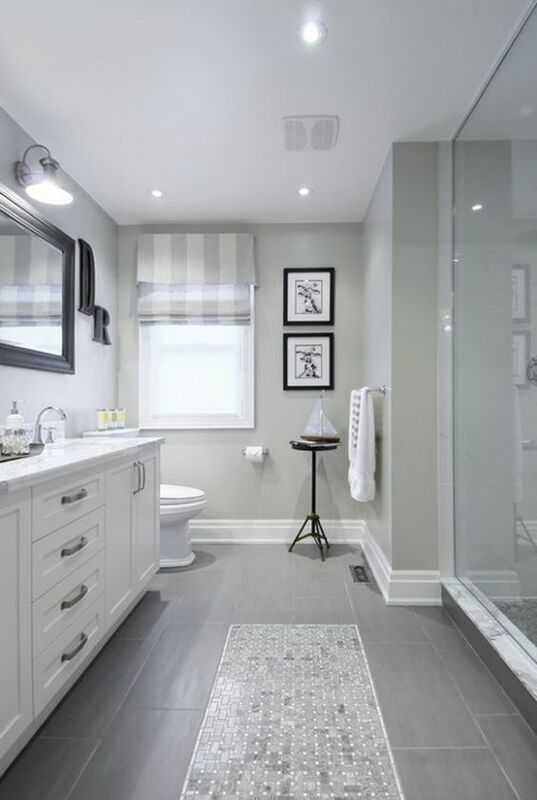 If you're dealing with the standard ceiling height, a semi-flushed option will still make a great impression. 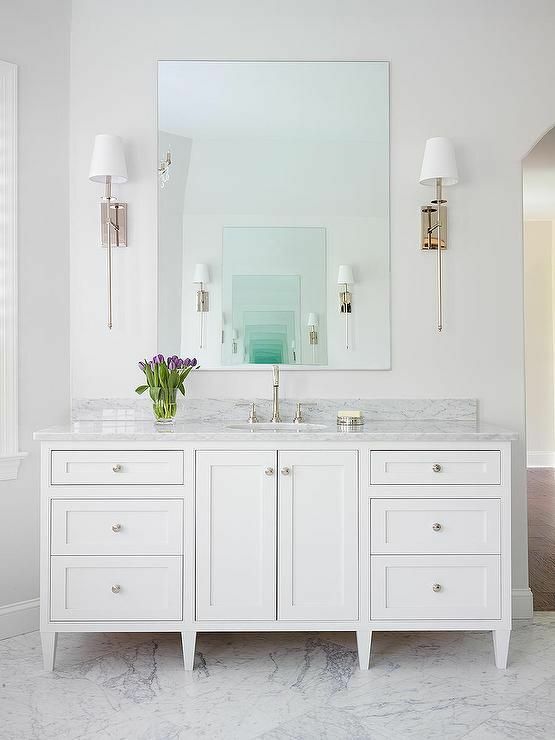 Wall lights are very important, especially on the wall where your mirror will reside, as overhead lighting will cast shadows on your face, making daily grooming very difficult. 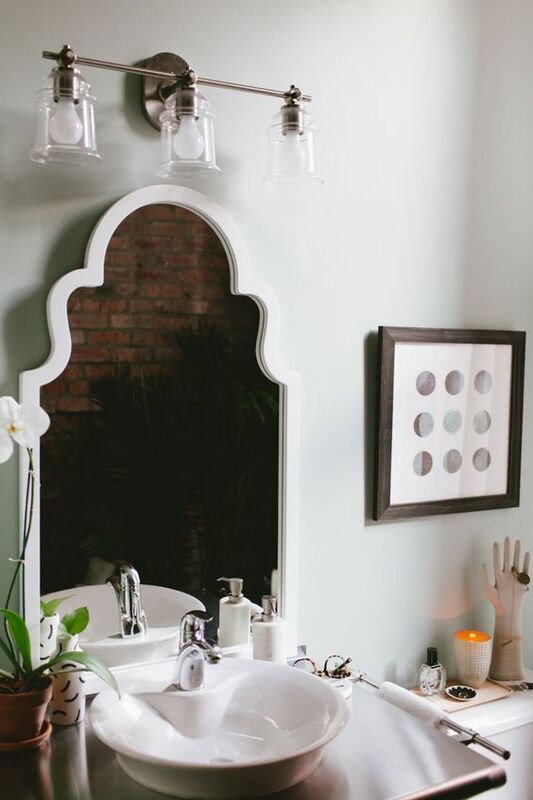 Sconces, on each side of the mirror, are the the best option (if the layout allows, of course). 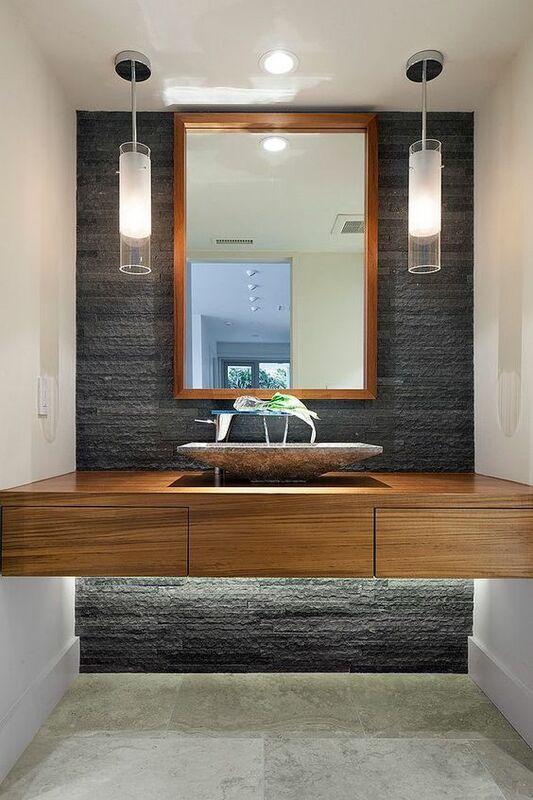 Or, ceiling lighting on each side of the mirror as featured in the image below. Great for the shower area or as overhead general lighting in the bathroom. If you love Interior Design + Decorating as much as we do, you don't want to miss out on our bi-weekly newsletter. Sign up here for decorating tip, trends and ideas. Plus some inspiring home furnishings introductions!